Professor Thomas Bennett (University of Cape Town), a noted expert of customary law and international law, will give a paper titled “Ex Africa semper aliquid novi: Ubuntu, the African doctrine of equity” on Wednesday, May 14 at 2 pm at the Faculty of Law, Suomen Laki -hall in Porthania (Yliopistonkatu 3). The lecture is open for all. Although an afterthought in South Africa’s Interim Constitution (1993), the term ‘ubuntu’ proved to be a vital means for giving the country’s majority African population a sense of ownership of the country’s new constitutional order. Ubuntu has been appropriated by courts and law-makers to function as a foundational principle in the South African legal system. The concept is obviously general and polysemous, and, as such, provides an idea of equity – previously lacking in South African law – that has been used to reconcile conflicts between rules and to decide hard cases. The development of an ubuntu jurisprudence is noteworthy because it marks the first time in Southern Africa that an indigenous concept has been introduced into the imported colonial laws (a precedent that has not gone unnoticed in other countries on the continent). 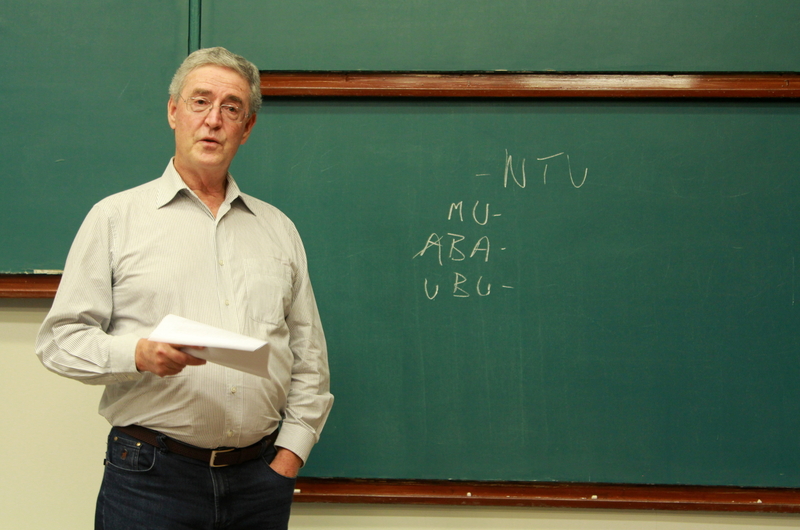 Professor Thomas Bennett giving a lecture “Ex Africa semper aliquid novi: Ubuntu, the African doctrine of equity”. Oula Silvennoinen, the controversial historian of holocaust, will be coming to speak about “Holocaust Studies and the European Politics of Memory” on Tuesday, May 20 at 6 pm in the faculty room at the 5th floor of Porthania. We have added abstracts of the papers to be presented at the Helsinki 2014 conference. The final programme of the “Totalitarianism, Law and the idea of Europe” conference in Helsinki is announced. Please see the event page for details.